- Dry to handle. 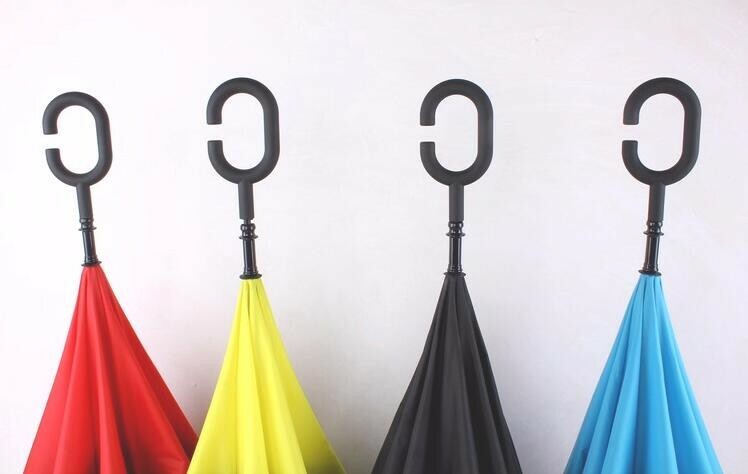 The phonebrella opens inside out. Think of it like a flower opening. 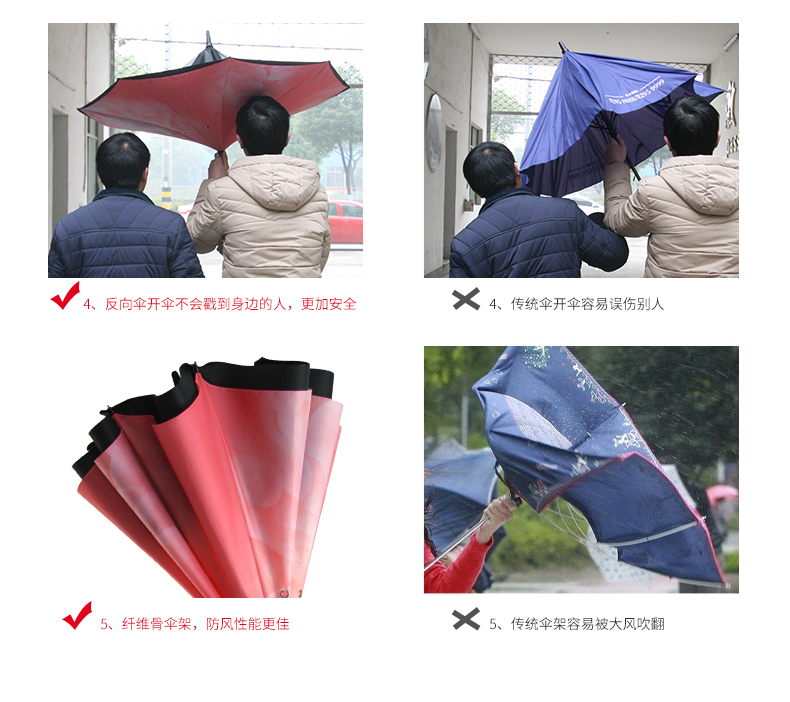 this leaves the wet side of the canopy contained on the inside when closed. 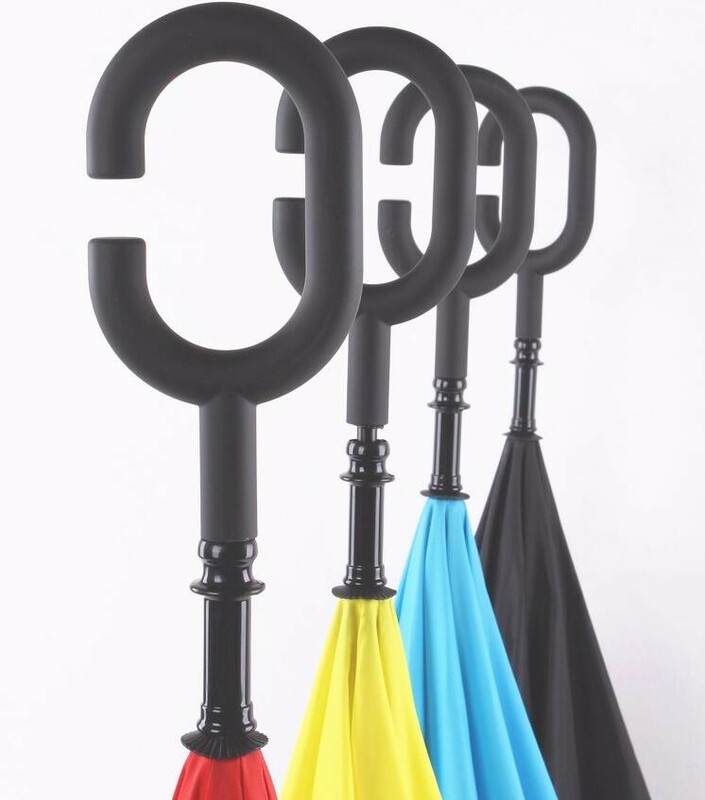 The phonebrella is dry to handle. It won't soak everything it touches. 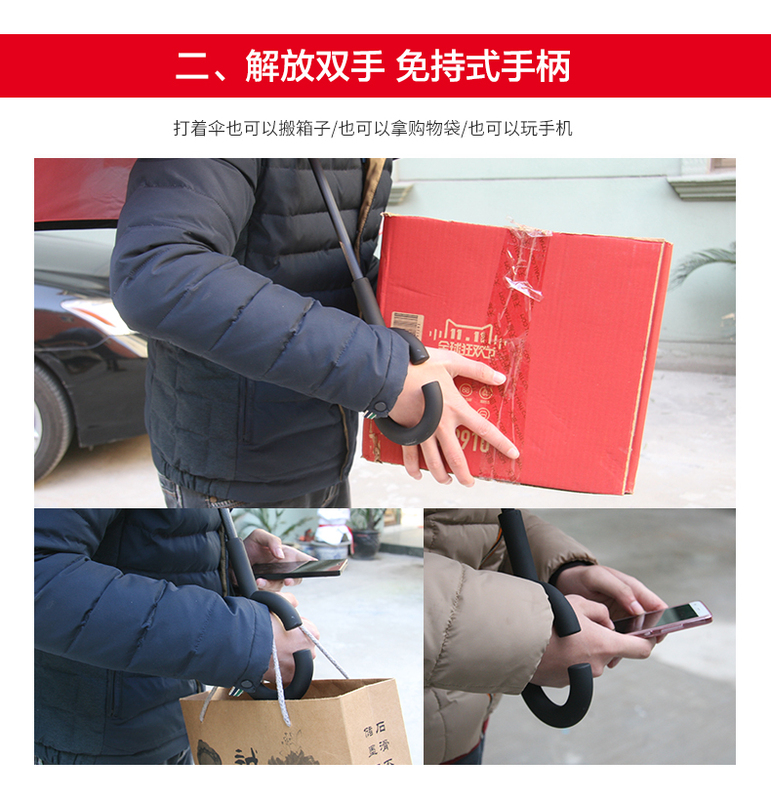 - Open/close in confined spaces. 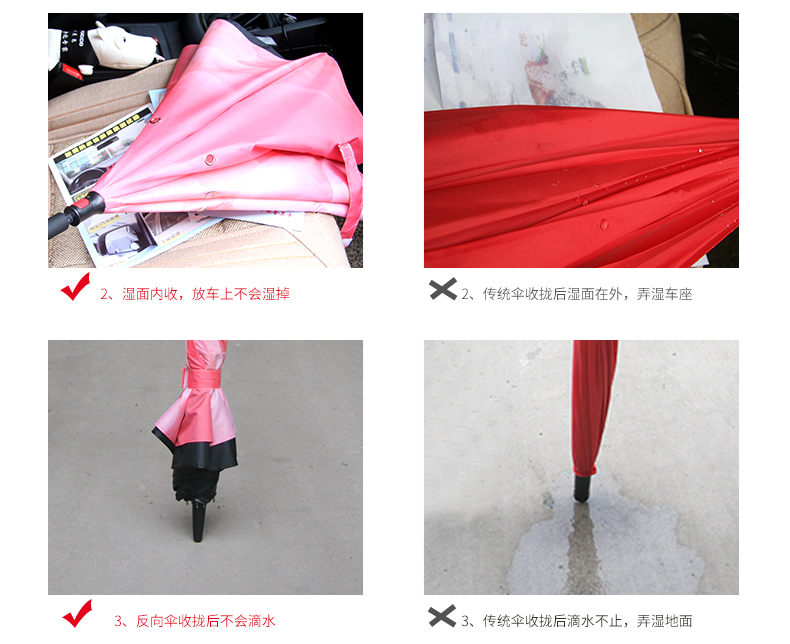 Getting into your car, you can close the phonebrella into the smallest gap of a car door, whilst remaining dry. 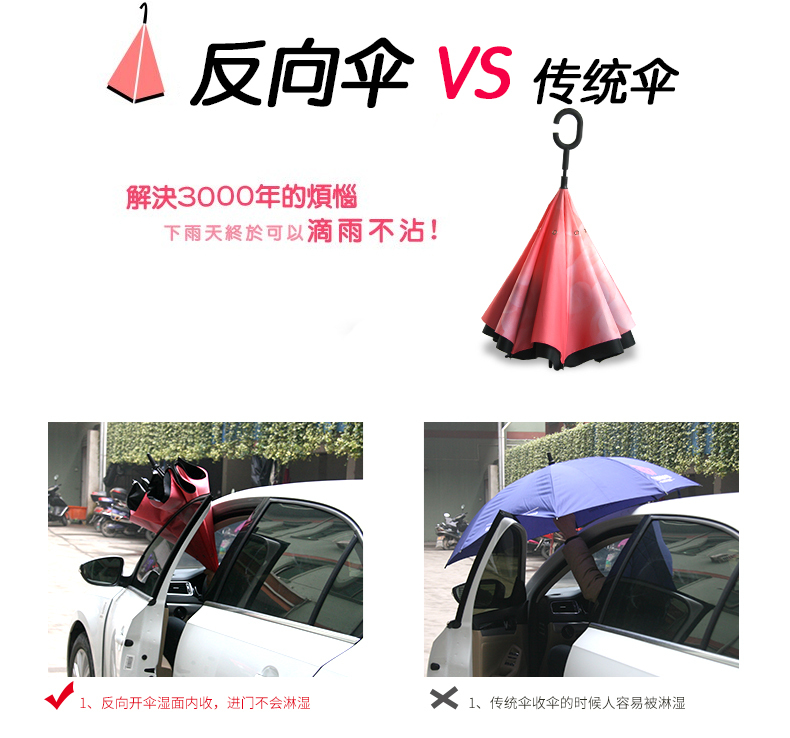 Now you can even put the phonebrella on your car seat without soaking it! 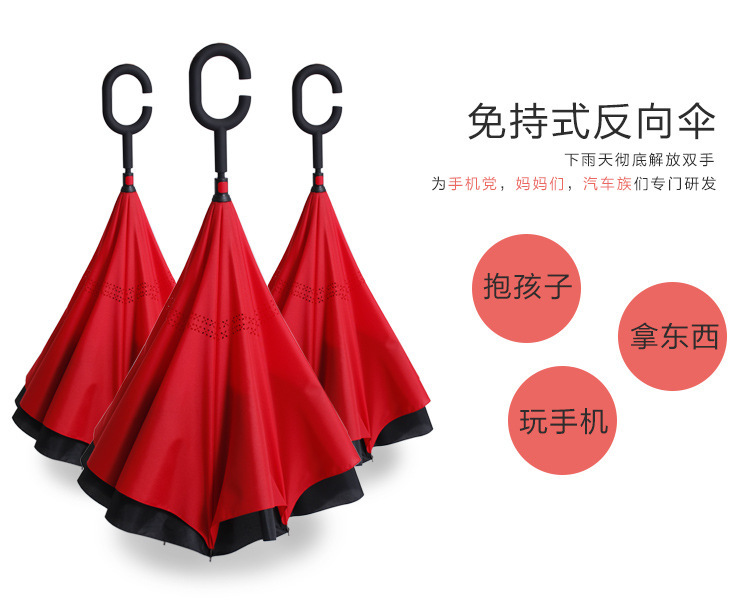 - Easy to open and close in a crowd. 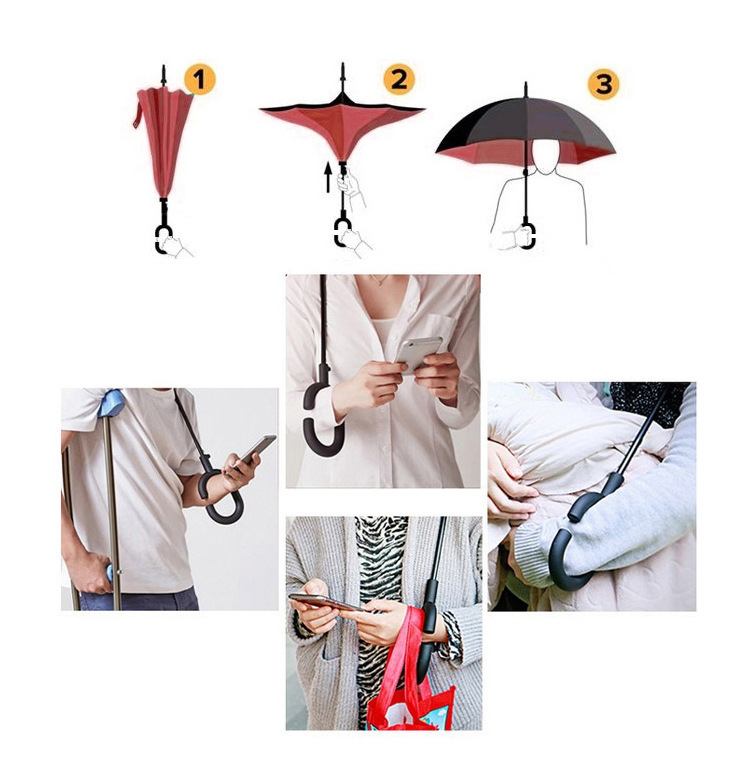 Phonebrella opens up and over the user avoiding poking in the eye! Perfect in crowd! - Strong in the wind. 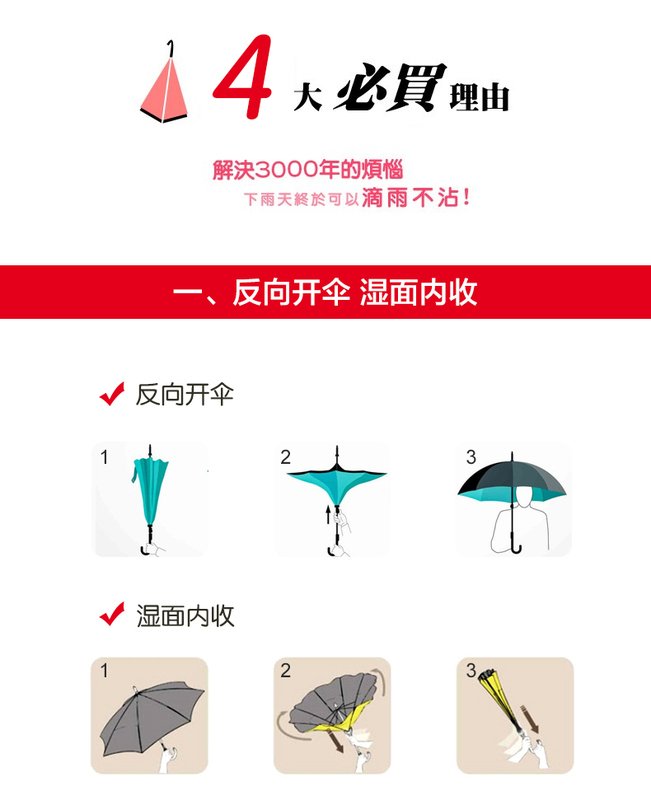 As the phonebrella is double spoked, it is extremely strong. 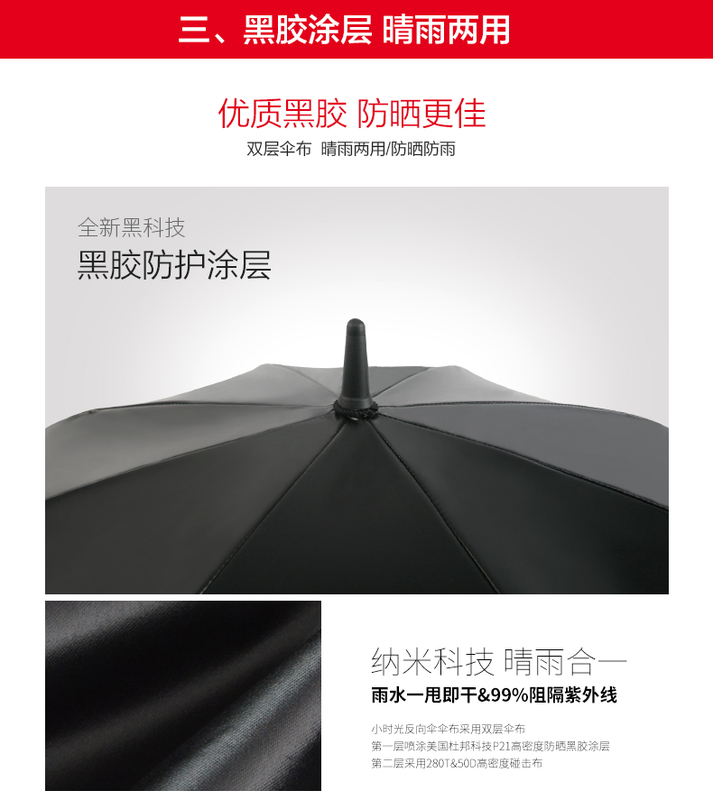 In the unlikely event the phonebrella is blown inside out, it's not a problem. 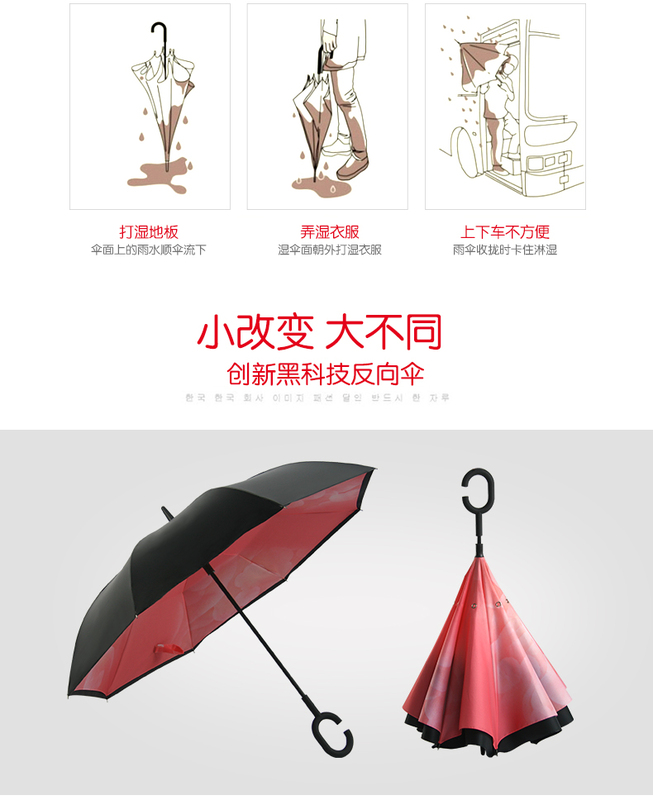 A click of the button and phonebrella will restore back to its open shape.